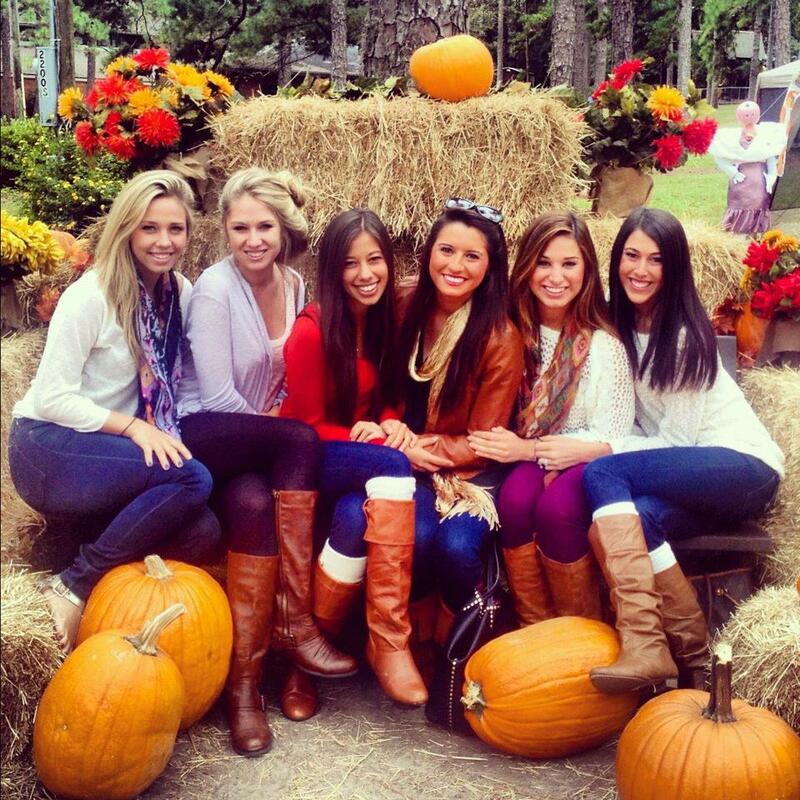 We love, love, love Fall. 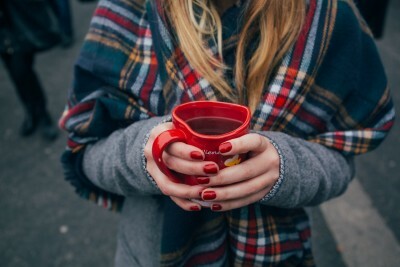 The return of the Pumpkin Spice Latte, all of our favorite TV shows back on, and the scarves! We love the scarves. But the absolute best part is reuniting with sisters from a long summer away and welcoming new ones into the chapter. 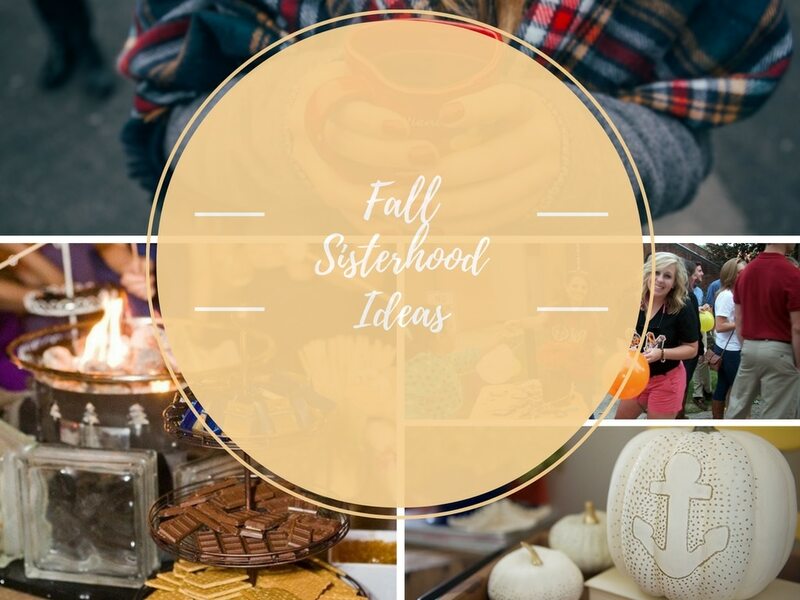 With all those new faces and familiar ones to catch up with, we know how important Fall Sisterhoods or Retreats are. But are you tired of the same old same old? 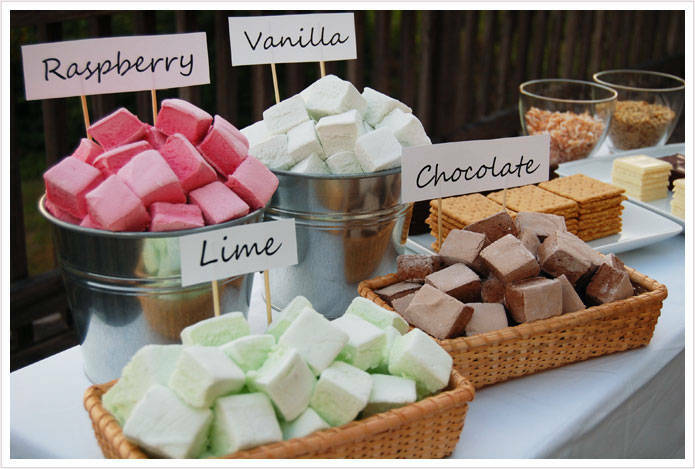 Well we got some Fall Treat ideas that will spice up any Sisterhood! Bond a little, and love a lot! Try out this Fall favorite with your sisters! This daytime adventure could easily turn into a night time sisterhood going from the patch back to the sorority house to decorate them! 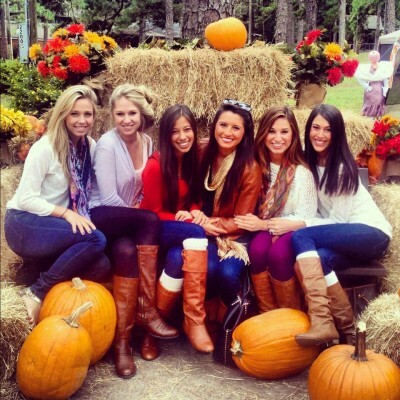 Often times, at pumpkin patches, there are hay rides, scarecrows, maybe some cider? All Instagrammable of course! We recommend decorating the pumpkins in phase two, rather than carving—it’s less messy, and you can be more creative with it! 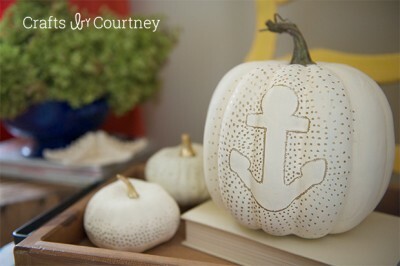 Paint, glitter, and ribbons can turn an ordinary pumpkin into an extraordinary lawn decoration! It may sound weird but that’s actually the official term for coffee tasting! We all know Fall is for lattes so round up your sisters who have a Lorelai Gilmore affinity for caffeine and go checkout the latest, yummiest coffee concoctions your local café has to offer. Not only will it be a tasty treat, you’ll leave alert and awake! Make it a cozy café theme and encourage your sisters to wear their snuggliest sweaters and cutest knit caps. And sport your favorite A-List gear of course! All over the Country: Peet’s Coffee locations throughout the US hold Saturday morning Coffee Cuppings. Check out their site to find out more! There’s nothing we love more than sitting in our pajamas and enjoying a lazy weekend morning. Turn that laze day into an amaze day; invite your sisters and head on over to IHOP, PJs and all, and chow down on some fluffy pancakes—or waffles if you’re a rebel. 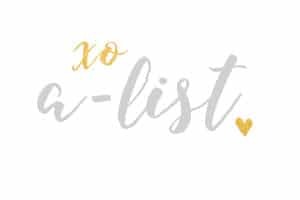 If you want to make it even more fun, theme your PJs to reflect your sisterhood: footie pajamas, baggie decorated t-shirts, flannels with your letters on them. The list goes on and on! Find her local IHOP here! 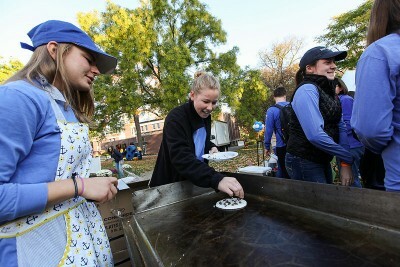 Franklin & Marshall Kappa Delta have got the right idea! 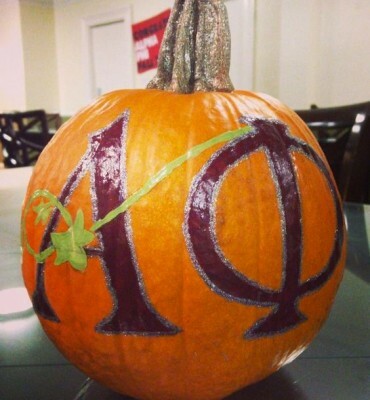 With Halloween a little over 3 weeks out, this is the prime time to throw a cute Halloween themed sisterhood. And why not turn it into a philanthropy when given a chance? If your chapter or national philanthropy works with kids, this is a perfect sisterhood for you. 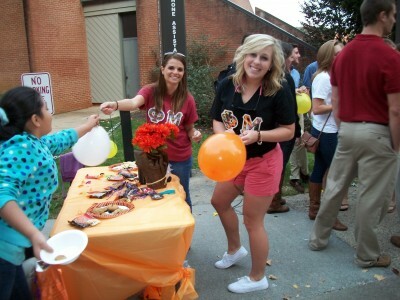 Turn your Greek Row into a trick-or-treating palooza! Have some sisters grab bags of candy; ask other fraternities and sororities to participate and if they say yes, give them a few bags. Recruit some children, maybe some patients from your philanthropy hospital or underprivileged students from your chapter’s charity, and take them trick-or-treating around the Row! Some of these kids might not get the opportunity otherwise, so make this easy, philanthropic sisterhood something that they won’t forget! 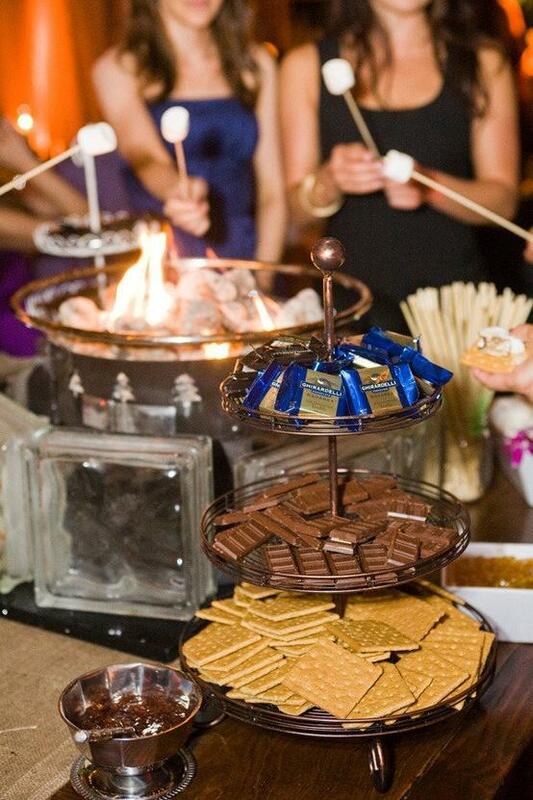 This Weddbook tower has got us drooling! Like what you see/read? Let us know! Drop us a comment below and tell us about your sisterhood success! Do you have another suggestion? We would love to hear from you too! We’re all about bonding with your sisters! This entry was posted in Members Only: A blog for chics and Greeks alike. and tagged Alpha Phi, Alpha Sigma Tau, Bonding, Delta Gamma, Phi Mu, Retreat, Sisterhood, sorority, Zeta Tau Alpha.